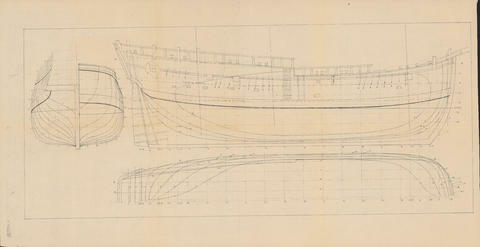 Item is a drawing of a ship's hull, including two views from the side and one from the back. The drawings are labeled with measurements. The ship is probably the Bluenose II.